Penn’s Iota chapter was established on 13 October 1877 and first appeared in The Record of 1878. The national fraternity was founded in 1852 at Jefferson College in Canonsburg, Pennsylvania. The Iota chapter disbanded in 1972. The chapter was re-established in 1977 and remains active at Penn in 2003. William H. Letterman and Charles P.T. Moore became good friends as they worked together to care for those who became during an outbreak of typhoid fever on the campus of Jefferson College (now Washington and Jefferson College). In 1852, they organized Phi Kappa Psi “to cultivate talents for the benefit of fellowmen”. A second chapter opened the following year at the University of Virginia. In 1855, six additional chapters were chartered, and by the outbreak of the Civil War the total had risen to seventeen. Fifty years after its founding, Phi Kappa Psi had more than forty chapters nationwide. The Record of 1878 named thirty four student members of Penn’s Iota chapter and five alumni members. The alumni members included two well known faculty members: Otis H. Kendall, professor of mathematics and Edgar Fahs Smith, professor of chemistry. Maxwell’s Greek Letter Men noted that at the close of the 19th century the Iota chapter occupied rented space at 3617 Locust Street, but was also preparing to build a club house for itself. 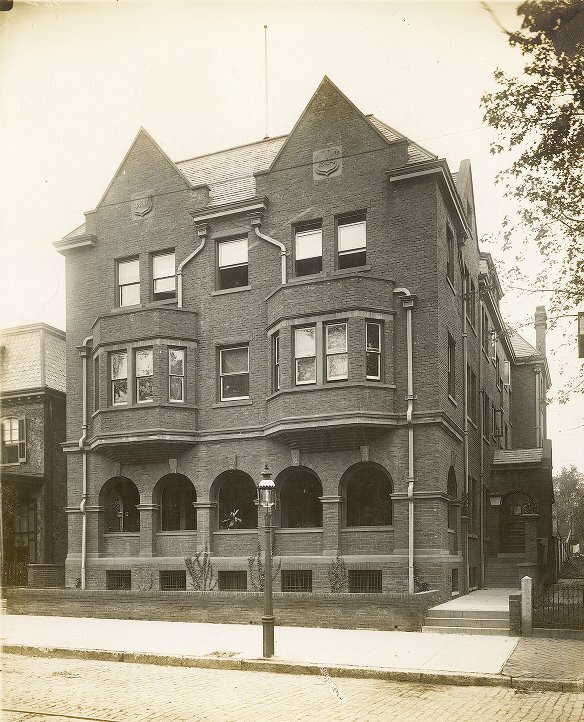 In 1904 the Iota chapter rented a house at 113 South 37th Street. 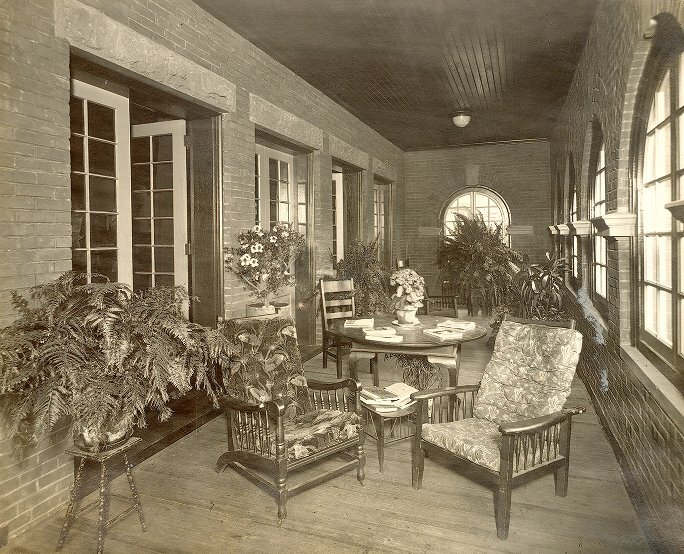 Professors Brownlee and Thomas, in First University, state that two Phi Kappa Psi members – architects Francis A. Gugert and Frank A. Rommel – designed the chapter house at 3641 Locust Walk. The new building was constructed in 1904 and dedicated on 17 February 1905. 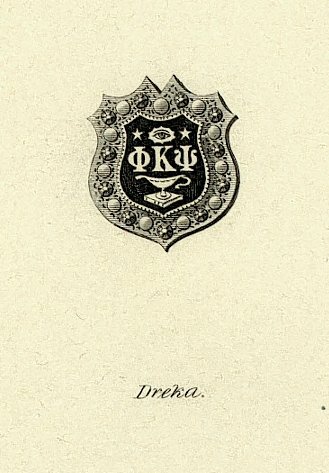 The Iota chapter remained there until it disbanded in 1972. Since then the building has been home to the Leonard Davis Institute of Health Economics and has been known as the Colonial Penn Center. 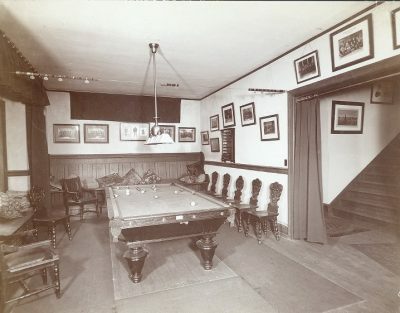 When the Iota chapter was re-organized, in 1977, it located in a double house at 3932-34 Spruce Street and has remained there since that time.